Are Your Operational Processes Up For The Disaster Relief Challenge? 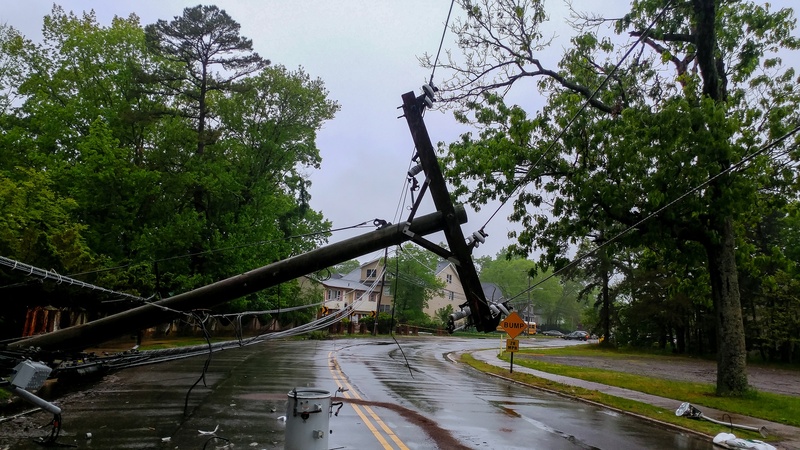 The end of this year’s hurricane season is less than two months away; however, with hurricane Florence barely in our rearview, are your operational processes in check to meet disaster relief requirements? If not, they should be. Last year’s federal aid for natural disasters was nearly tenfold that of the previous year. Hurricanes Harvey, Irma and Maria alone are said to have affected approximately eight percent of the population in the U.S. The Federal Emergency Management Agency (FEMA), who provides assistance in the event of all natural disasters, reported that more than 25 million people were impacted by hurricanes, flooding, or wildfire in 2017, and close to five million households applied for FEMA’s Individual Assistance program requesting direct support. One can only begin to imagine how many homeowners have contacted their mortgage servicer for information and participation in relief programs. Although the servicers' phones start to ring as soon as there’s a Presidential Disaster Declaration, the real test of readiness occurs when borrowers are unable to make payments and need to understand their options for financial assistance. With the number of natural disasters at a record high, few servicers are beyond the reach of impact, whether it be the volume of calls, extensive variations in processes, or the ability to stay on top of what personnel communicate to customers. From documenting and managing communications, to administering investor requirements, to ensuring your team is examination ready, operational processes for disaster relief need to be automated. Obviously, disasters are completely unpredictable and more recent events have shown that protective measures, like flood insurance, do not adequately cover claims for homeowner relief or to restore collateral. Originate a new loan or refinance a loan on a property located in a FEMA-Declared Disaster Area? Secure an appraisal waiver following a disaster? Renovate and/or improve a manufactured home? Forego reporting borrower credit report data to repositories? Direct customers to the SBA for rental, renovation, or loan assistance? This list is just a small snapshot of countless relief program options, with extensive variation in assistance from one investor to another. Even Fannie Mae and Freddie Mac offer programs and requirements that differ extensively. With so many alternatives and nuances, coupled with an extreme sense of urgency, the number of process exceptions increase, along with margins for error and associated risk. Most automated systems are not prepared to meet this challenge in its entirety. We have yet to determine how extensive or impactful regulatory scrutiny will be once these loans hit examination. Only a handful of recent natural disasters have a closing window on access to relief. This means there is ongoing volatility in disaster area designation, relief programs and investor requirements. Additionally, chances are great that your operational processes, both manual and automated, continue to evolve in this area. Documenting your administration of various programs in an auditable format, and adherence to a multitude of conflicting requirements could be the greatest obstacle yet, with exceptions and errors leading to costly violations and hefty fines. Meeting today's disaster relief challenge, to include shoring up your corresponding operational systems and processes, is the perfect example of an issue best solved with workflow. Administering competing programs, juggling communications with stressed home buyers, managing multiple relief tracks and timelines, yields a multifaceted set of workflow and workout rules that must be artfully prioritized, organized and automated. 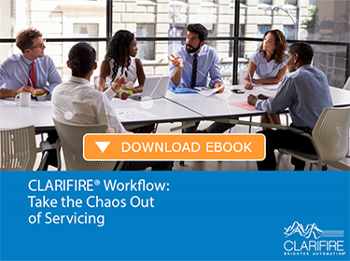 CLARIFIRE® provides a sophisticated workflow and loan decisioning platform that automates complex disaster relief assistance. Helping bridge processes across multiple relief programs and investors products, CLARIFIRE creates efficiencies that drive requirements that need to be met, exceptions are identified real time, and costs are minimized. Ensure your servicing team is prepared to meet the disaster relief challenge with operational prowess and technical innovation. Visit eClarifire.com today or contact us directly at 866-222-3370 to learn more. We Have Workflow, What's Your Superpower?